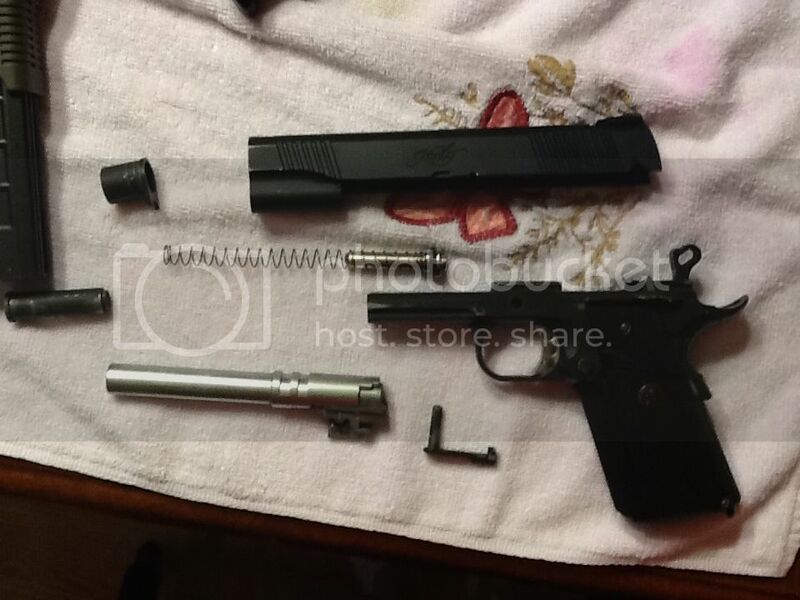 Today I have for sale a custom 1911 gbb pistol that was professionally put together by an amazing tech friend of mine. The gun has been used very little since I received it, and was used very little by the first owner. He used it in a few games, but maybe shot a few rounds in close proximity to people. 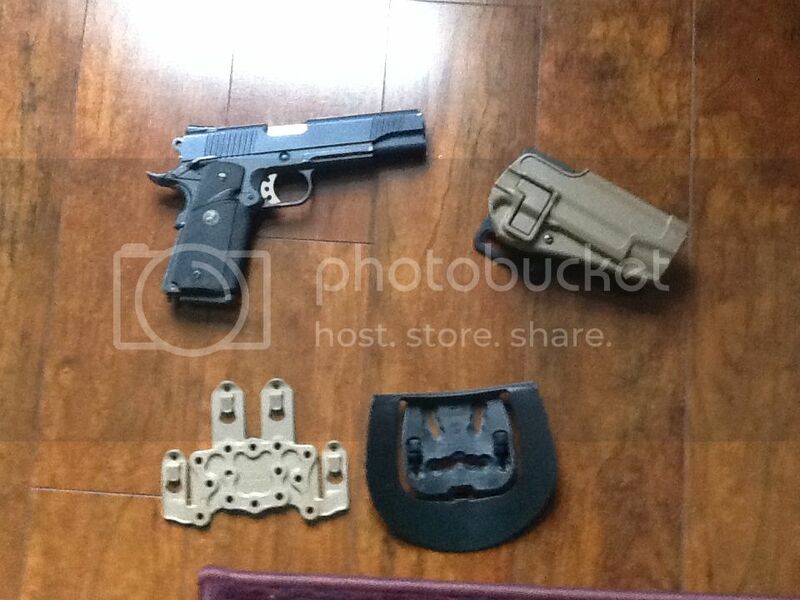 The gun will come with a Blackhawk serpa holster with 2 mounts forsure. Molle and paddle mount. I may keep the belt mount. Here is a video of the gun shooting. The slide kit, barrel, hop and blowback assembly. The barrel is a 6.01 tightbore. The barrel has been v hopped. Not sure what brand, but it is very high quality. The others are high quality, but I am not sure what brand. i cannot tell what brand stuff is in pistols as I do not modify them. The gun shoots beautifully dead accurate at 120 feet however. Last edited by alecmclovin; 07-15-2013 at 09:13 AM. Long overdue bump. Price drop $160.